Concourse is 100% open source CI/CD system with approximately 100 integrations to the outside world. Concourse's principles reduce the risk of switching to and from Concourse, by encouraging practices that decouple your project from your CI's little details, and keeping all configuration in declarative files that can be checked into version control. This Concourse Tutorial book is the world's most popular guide for learning Concourse, since 2015. It is a wonderful companion for Concourse online documentation. Thanks to Alex Suraci for inventing Concourse CI, and to Pivotal for sponsoring him and a team of developers to work since 2014. 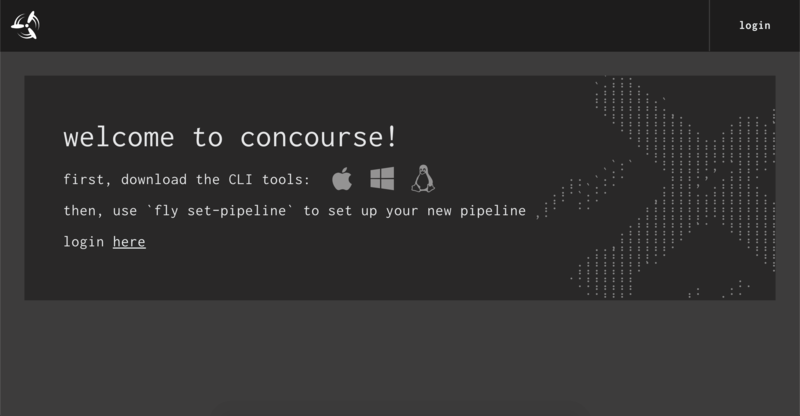 At Stark & Wayne we started this tutorial as we were learning Concourse in early 2015, and we've been using Concourse in production since mid-2015 internally and at nearly all client projects. Thanks to everyone who has worked through this tutorial and found it useful. I love learning that you're enjoying the tutorial and enjoying Concourse. Thanks for all the pull requests to help fix regressions with some Concourse versions that came out with "backwards incompatible change". Thanks to all the staff at Stark & Wayne who helped to maintain this Concourse Tutorial and its examples over the years. Thanks to everyone who visits our Stark & Wayne booth at conferences and says "Thanks for the Concourse Tutorial!" Install Docker Compose if not included in your Docker installation. Click on your operating system to download the fly CLI. For Windows users, use this article to see where to add fly in to the PATH. In the spirit of declaring absolutely everything you do to get absolutely the same result every time, the fly CLI requires that you specify the target API for every fly request. First, alias it with a name tutorial (this name is used by all the tutorial task scripts). When we use the fly command we will target this Concourse API using fly --target tutorial. When you've finished with your local Concourse, deployed via docker-compose up, you can use docker-compose down to destroy it.